COMSATS University Islamabad, Sahiwal Campus was established in 2006. We set the sails with only one department and five faculty members but now we are growing with each passing moment. 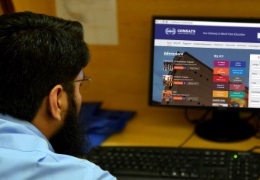 At the moment, around 3266 students are studying in 18 graduate and undergraduate programs in Management Sciences, Computer Sciences, Bio Sciences, Mechanical Engineering, Electrical Engineering, Civil Engineering and Mathematics. Another testimonial of our worth is the trust of people on us which is multiplying day by day. With such shrug of trust from the parents and students, we have established Civil Engineering Department which will offer admissions in coming semester. 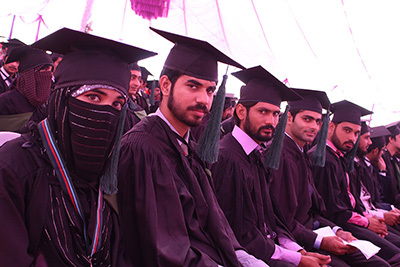 10-Years Celebration of COMSATS University Islamabad (CUI), Sahiwal Campus was held at CUI Sahiwal campus. Mr. Barar Hayat Tarar, Commissioner Sahiwal was the Chief Guest whereas, Prof. Dr. M. A. Bodla, Vice Chancellor of Leads University, Lahore was the Guest of Honor. The event was attend by researchers from Spain, Finland and France, Prof. Dr. Tallat Afza, Vice Chancellor of Govt. Sadiq College Women University, Bahawalpur, Dr. Muhammad Atif Ikram, DPO Sahiwal, Dr. Shakir Ahmad Shahid, SSP (Investigation), Sahiwal, Syed Ayub Bukhari, AC (Revenue), Mr. Aqeel Ashfaq, Dr. Hamdani, Resident Director Sahiwal Arts Council,Prof. Dr. Saleem Farooq Shaukat, Director CUI Sahiwal Campus, Prof. Dr. Khair u Zaman, Director CUI Vehari Campus, Prof. Dr. Shahid Rajput, Secretary, Harappa International Conference, Arch. Zain ul Abedin, Mr. Naveed A. Khan, Head of Department, Faculty and Officers. Another testimonial of our worth is the trust of people on us which is multiplying day by day. With such shrug of trust from the parents and students, we have recently established Department of Heritage Studies to revive and restore Harappa ruins. 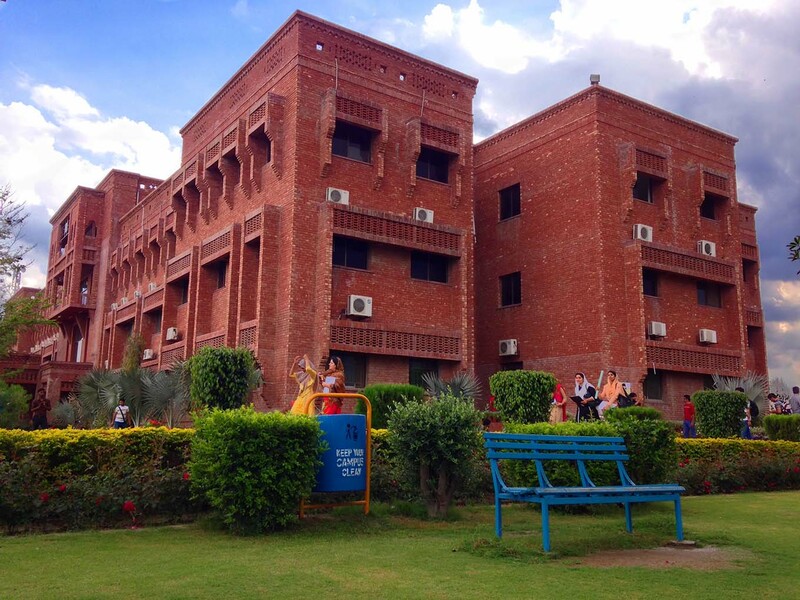 The establishment of the “Department of Heritage Studies” at CUI Sahiwal Campus would be highly beneficial to both the institute and the public. The foundation of Montgomery Museum is the result of such efforts. The department, with the assistance of Punjab government, has started its work and I assure you that we will create a history by producing research on this old civilization. We are going to establish an Art and Cultural Village at Harappa very soon. Further to this, we have gathered a team of high profile internationally known professional to work in this area. Moreover, COMSATS University hosted 3-days 2nd Harappa International Conference on December 18 – 20, 2016. 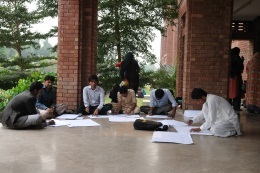 First two days sessions were held in COMSATS University, Sahiwal. 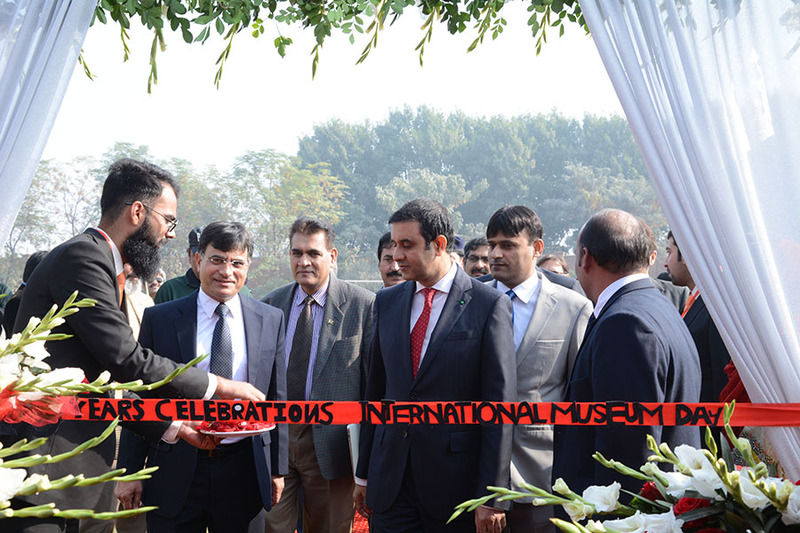 On second day of Harappa International Conference the delegates will visit Harappa site and Museum. On third day sessions will be held in Lahore which include visit of historical sites in Lahore. The conference was attended by Prof. Dr. Saleem Farooq Shaukat, Director CUI Sahiwal Campus, Prof. Dr. Shahid Ahmed Rajput, Secretary Harrapa Conference Management Committee, Dr. Jonthan Mark Kenoyer, Dr. Mery Sophie, Dr. Carla Lancelotti large number of audiences including the Archaeology Experts from China, Finland, France, Germany, Italy, USA and officials of department of Archaeology, Govt. 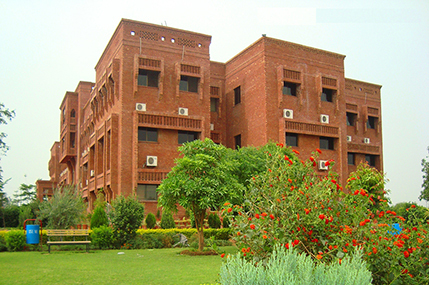 of Punjab , American Institute of Pakistan Studies (AIPS), Departments of Archaeology and History, Universities of the Punjab, Sindh, KPK and Baluchistan. It was gratifying to note that all campuses of CUI were represented by their Directors and senior faculty. The media was also present and the event was recorded and reported by many newspapers and TV channels. Moreover, COMSATS University Islamabad hosted 3-days Harappa International Conference on August 15 – 17, 2015. First two days sessions were held in Lahore including Poster Exhibition and visit of historical sites in Lahore whereas, closing session was held in CUI Sahiwal Campus after the visit of the delegates to Harappa site and Museum. The conference was attended by a large number of audiences including the officials of department of Archaeology, Govt. of Punjab, Lahore Museum, American Institute of Pakistan Studies (AIPS), Departments of Archaeology and History, Universities of the Punjab, Sindh, KPK and Baluchistan. It was gratifying to note that all campuses of CUI were represented by their Directors and senior faculty. The media was also present and the event was recorded and reported by many newspapers and TV channels. The academic heart of the university is our faculty. 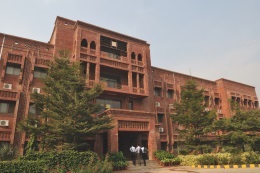 We are fortunate that CUI Sahiwal Campus is having remarkably skilled, talented and competent faculty of 145 members. 52 faculty members are having PhD degrees from renowned universities of the world. These faculty members are wonderful researchers and have published 180 high impact factor research papers last year and they have submitted 45 research projects to different national as well as international funding agencies.